If you are not familiar with adoration but really want a deeper connection with God, or you want to "get more" out of your adoration time, this book is for you. Also makes a great gift for RCIA candidates to introduce them to adoration. 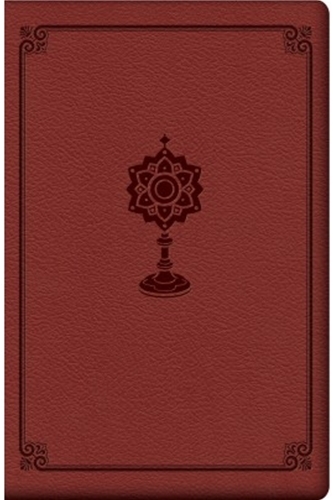 This beautiful Premium UltraSoft gift edition of The Manual for Eucharistic Adoration features sewn binding, ribbon marker, and gold edges.